Seems outrageous to already be talking about what's next for us considering we've only been in Virginia for 4 1/2 months. Somedays it feels like we just left North Carolina to embark on this journey, and somedays I feel like we've been in it for years. 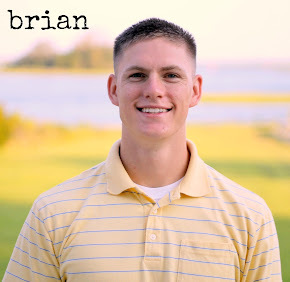 Brian has been doing very well all throughout TBS, ranking high in his platoon and company, and we thought we were sitting pretty when it came time for MOS (his job/specialty) selections. We didn't say it out loud, but we pretty much had the next phase of life planned out; thought we knew exactly where we would be, what Brian's job was going to be, etc. But you know, like the good Christians we are, all along we were praying Proverbs 16:19 "Many are the plans in the mind of a man, but it is the purpose of the Lord that will stand." So we were praying it, but remember, we already "knew" where we were headed. You see the more we think about the situation, the less and less we understand it. Why would someone ranked so well in the company receive a job ranked so low on their list? In the way of the world, it doesn't make sense. But then again, we are not living for this world. So in all the confusion and the lack of understanding in our small human minds, we realized something: this could only be the Lord. Romans 11:33 says "Oh, the depth of the riches of the wisdom and knowledge of God! How unsearchable his judgments, and his paths beyond tracing out!" I, for one, am thankful to serve a God who's wisdom and knowledge is beyond my comprehension. LOVE, LOVE, LOVE, LOVE this post. Your future children will thank you for writing down how God worked in your hearts. They will know and follow Jesus because they have an example to follow! It's amazing how many trials Pete and I have faced in a year and a half of marriage. I can't tell you how many times we have had to say, this must have happened for a reason.... You have such a great attitude. It is inspiring. Beautiful post mckenz!! wowowow!!! will minister to so many people!!! good for my heart! Somewhere out there, is a group of Marines awaiting Brian's servant Leadership, and they will be lucky to receive a leader like you, Brian. Ive only been in for a few years Brian and I have been disappointed many times with certain decisions 'which were made for me'. Personally, I would have loved to see you as a fellow Infantry Officer. But God has a different and BETTER plan. Bottom Line Brian: Be an asset wherever you go. Always bring something to the table. I know you, and you are a vital and unique asset for the Marine Corps and for the Kingdom of God. This is Jordan...by the way. Oh McKenzie! This blog speaks directly to my heart and verbalized the all thoughts that have been bouncing around in my head since MOS day! We may not understand it now, but maybe we'll understand it later down the road. God is definitely behind all of this! I can't wait to see His plan for your family and mine! AHHH!!! You are moving to Jacksonville?! That's where I live...at home with my parents. Haha. Even if you're not excited yet, I am! We must spend time together when you get here!